Let’s go to Laclede, Kansas. 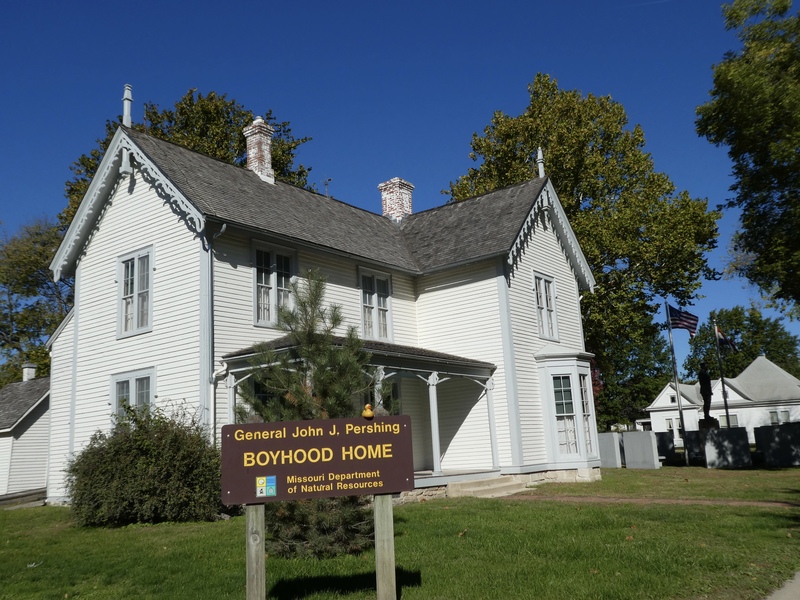 A road sign directed us to the boyhood home of General John Joseph Pershing. General gained much recognition during World War I. This statue is a tribute to the General. But there is more here. 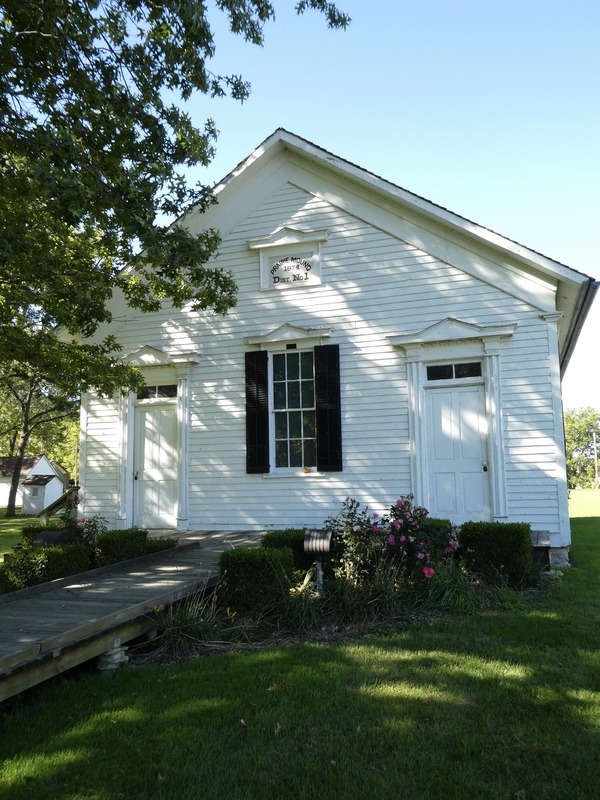 This is the boyhood home of General Pershing. His family moved here when he was very young. 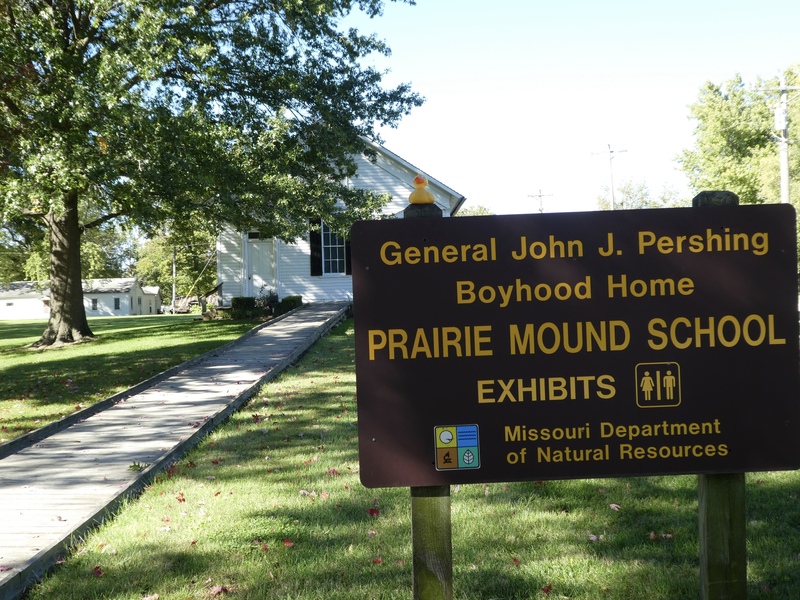 We visited the Visitor’s Center here and the ladies told us much about General Pershing, and other points in Kansas. They said John Pershing was a teacher here for a short time. Prairie Mound School seems so small now. Let’s go inside. Two doors and two rooms. First the door on the right. 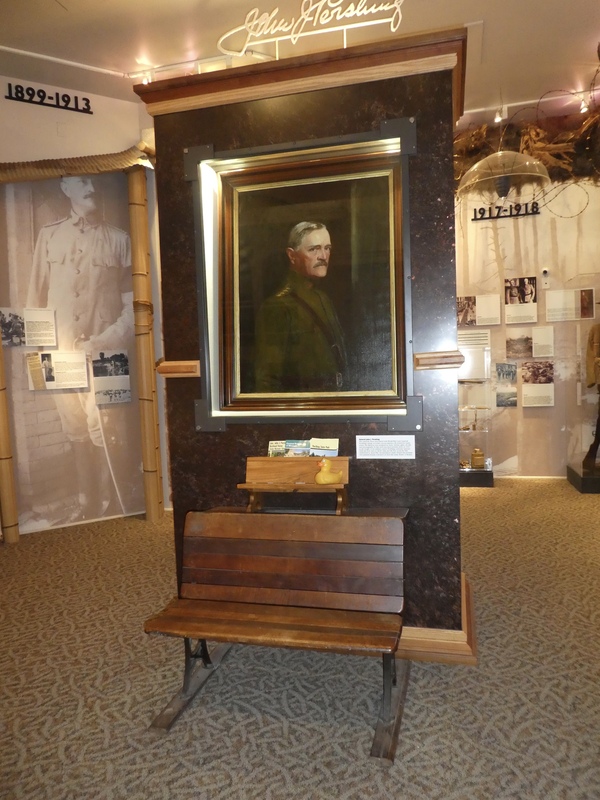 A large portrait of General Pershing greeted us. Many medals and memorabilia are on display inside. Next, door on the left. 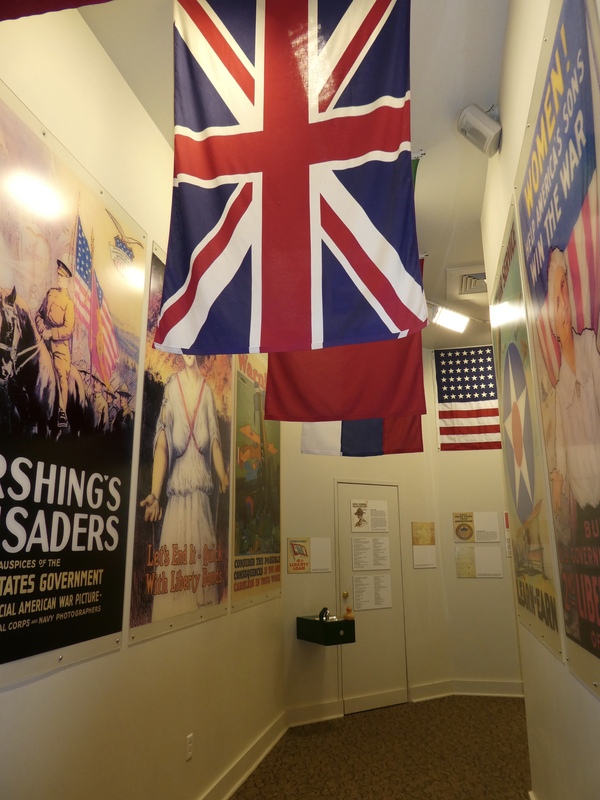 Several flags and posters from World War I are displayed here. The displays in both rooms are very interesting. The ladies in the Visitor’s Center reminded us of the Poppy Fields in Flanders. This sign tells much. In Laclede, the town citizens have planted a poppy field. We were there in late October, so nothing was blooming then. Poppy Garden in Laclede, Kansas. Will bloom next summer. 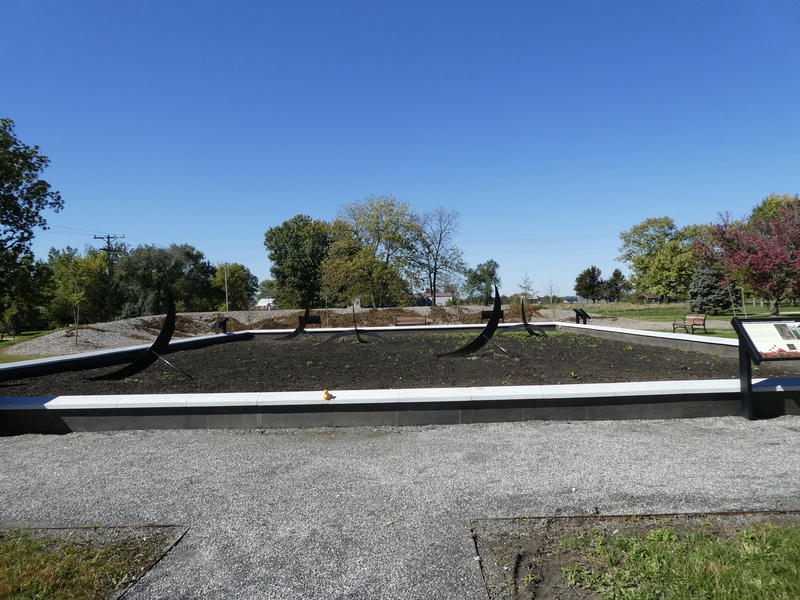 The garden has been cleaned out for winter, but we expect a beautiful poppy display next summer. This also is a very peaceful place. 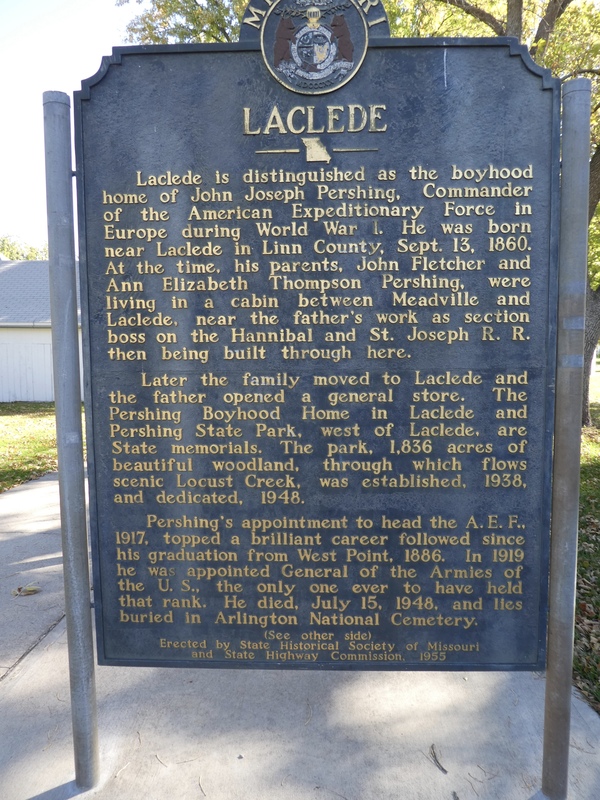 We hope you visit Laclede, Kansas. General John Jospeh Pershing had a remarkable military career, graduating from West Point, the military academy, being recognized for outstanding service, he was called to New Mexico when Pancho Villa attacked Columbus, New Mexico. During World War I he was Commander of the American Expeditionary Force in Europe. 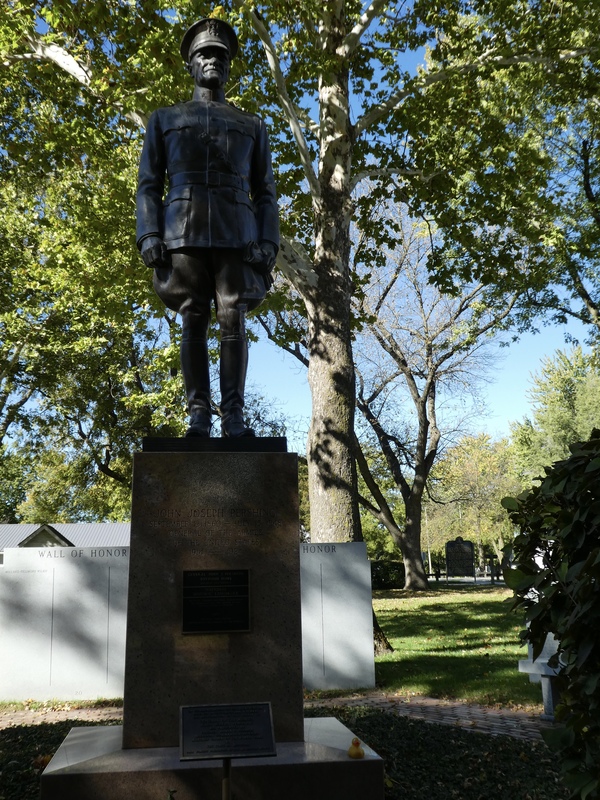 General Pershing is the only person to be General of the Armies of the United States. 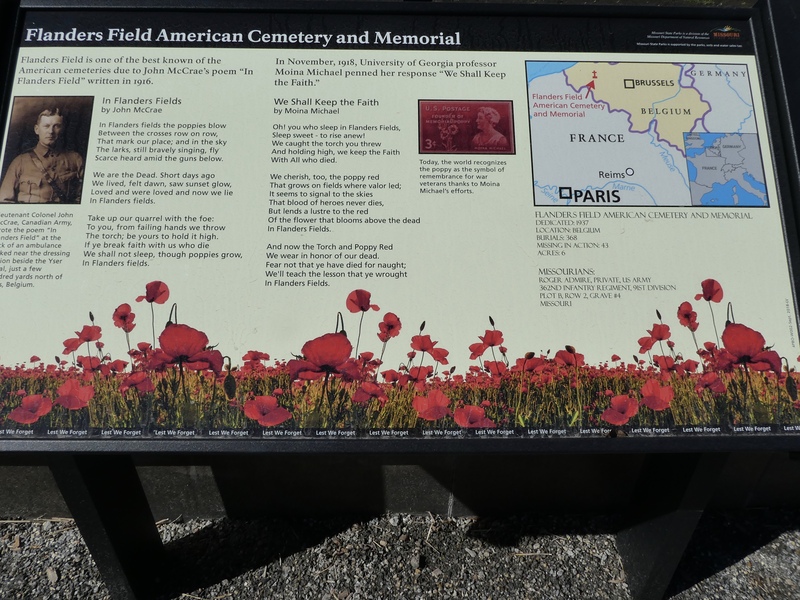 He is buried in Arlington National Cemetery, near Washington D.C. Visit Laclede, Kansas, stop at the Visitor’s Center and spend a little time wandering around the grounds. We liked visiting Laclede and we think you will also.